This is very exciting news for me because I love watching international films! Movie lovers have something exciting to look forward to with the launch of the new CinemaWorld international movie channel in the Philippines. 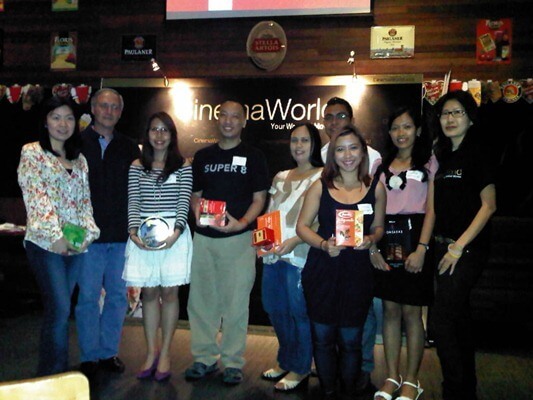 Two years in development, CinemaWorld is the first and only pan-Asia international movie channel. Showcasing top box office hits and award winning films from around the world, CinemaWorld will be a cinematic treat for Philippine cable subscribers. Offering mainstream programming that is fresh, unique and differentiated, CinemaWorld provides movie lovers with exciting new movie options which they cannot find anywhere else. 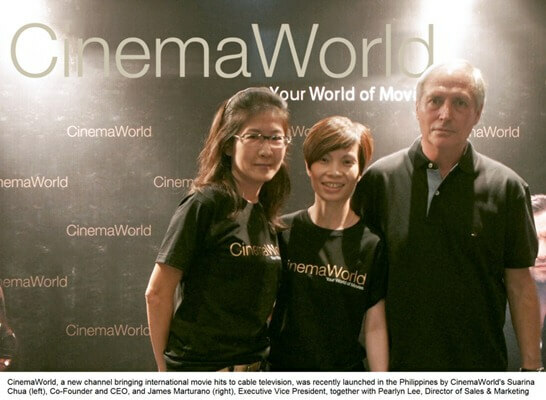 CinemaWorld was founded and is managed by three experienced Media and Entertainment professionals who have a lengthy history in the Philippine market. Founders Quek Toi Mien and Suarina Chua, along with James Marturano, were long time colleagues at HBO Asia and manage the new channel. Each brings over (20) years of experience in the pay television industry to the project, as well as a passion for movies. 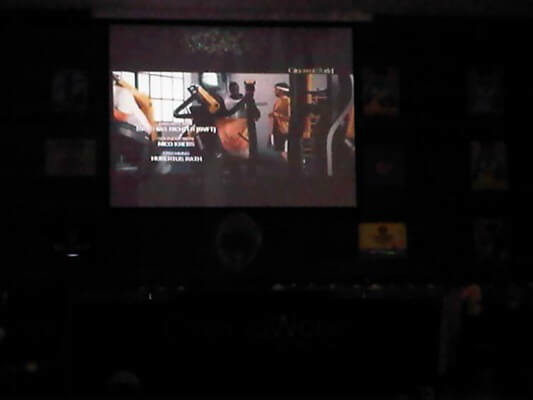 All movies on CinemaWorld will be shown in their original language, with English subtitles and (most movies) have release dates from 2005 to present. CinemaWorld is commercial-free and available in High Definition. Movies are exclusive to CinemaWorld and will enjoy their Asian pay television premier on the channel. Weekends will have a thematic focus. Thriller Fridays at 11 PM will showcase movies that will have you on the edge of your seat; Saturday Festival Picks at 9 PM will highlight the best selections from international film festivals; and Sunday See The World at 9 PM offers something unique from around the world. October movie highlights include: â€œThe Woman Of My Life,â€ a 2010 Italian Romantic Comedy starring Luca Argentero (Eat Pray Love), ever-rising star in Italian cinema; â€œThe Matchmakers,â€ a 2010 Israeli Drama chosen as Best Picture at the Israeli Academy Awards; â€œBlackthorn,â€ a 2011 US/Spanish Action/Thriller winning 4 Goya Awards in Spain; and, â€œMen In The City,â€ a 2010 German blockbuster Comedy, starring German megastar Til Schweiger (Inglorious Bastards, This Means War). CinemaWorld will be available in Metro Manila on October 1, 2012, Monday, on Cable Link, and later on, the HD Movie Package of SkyCable.